Cancer Diseases Hospital Chief Medical Physicist Mulape Kanduza checks radiotherapy equipment. More than 17,000 cancer cases have been diagnosed and treated at the Cancer Diseases Hospital in Lusaka since it was established 10 years ago, raising hope for Zambia’s fight against the menacing disease. 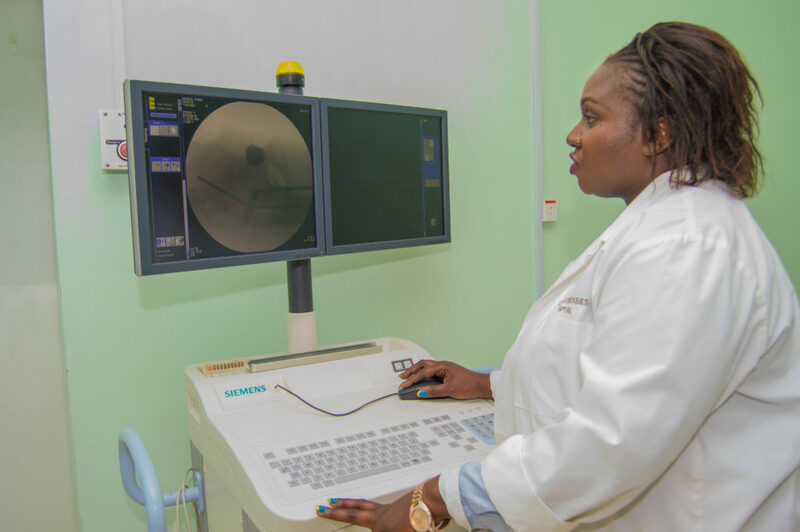 The first and only cancer treatment centre offering radiation therapy in Zambia, the Cancer Diseases Hospital, has scored numerous successes in the use of nuclear technology to diagnose or treat cancer, the hospital’s Chief Medical Physicist, Ms Mulape Kanduza, said. Ms Kanduza said before 2007 patients had to pay lot of money travelling to other countries such as South Africa and India for treatment, which few people could afford, as it was very expensive. The International Atomic Energy Agency (IAEA) played a key role in the establishment of the hospital, training for medical professionals, and in the establishment of radiation protection measures for both patients and staff. “Now people in Zambia can access treatment locally for a fraction of the cost they would pay by travelling outside the country. More than 17,000 new cases of cancer have been diagnosed and treated over the last 10 years,” said Ms Kanduza. Ms Kanduza said since the hospital opened, it has seen a surge in the number of cancer cases being diagnosed, the majority being among women. Ms Kanduza said despite some limitations, the Cancer Diseases Hospital was succeeding in the fight against cancer. “We started off with four pieces of equipment but we can now boast of 10 different types of equipment which enables us to provide services close to what developed countries are offering…. We have equipment that can provide cancer treatment that you can get anywhere in the world. It’s good that we have a home solution for our patients,” she said. The hospital uses radiation medicine as a vital component of cancer control. 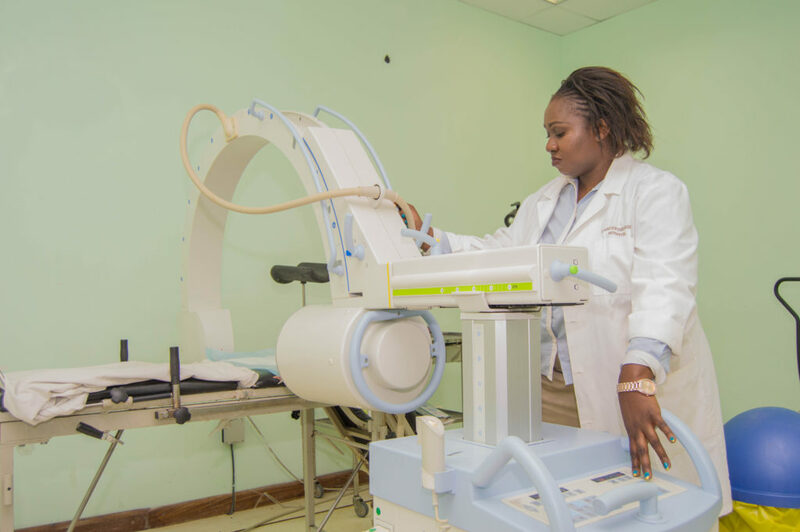 It uses procedures such as X-rays, CT scans and mammograms for the early detection and diagnosis of cancer as well as radiotherapy and chemotherapy for the treatment. Radiotherapy can treat and manage the disease and provide substantial pain relief for patients when cure is not possible. “Radiation therapy, which is nuclear technology, has been proven over the last 100 years to provide effective diagnosis and cure for cancer. There’s a lot of fear regarding the use of radioactive substances as people believe that it is dangerous. But I’d like to rest people’s anxieties by saying that if somebody has been trained on how to use radioactive substances on aa patient or in industry, it is safely done,” said Ms Kanduza. Going forward, the Cancer Diseases Hospital hopes to expand its capacities for both personnel and technology, as well as venturing into research. The hospital is now able to offer training locally for radiation therapists out of which two intakes have since graduated. The hospital plans to begin local training for other specialties such as radiation oncologists and medical physicists. Ms Kanduza added that the anticipated Centre for Nuclear Science and Technology, which has been proposed by Russian firm nuclear firm Rosatom in collaboration with the Government of Zambia, will go a long way in advancing nuclear in medicine in Zambia by providing training and research as well as production of radiation sources that are required in the treatment of cancer. In June, Rosatom signed a project development agreement with the government, paving the way for the establishment of a Centre for Nuclear Science and Technology as well as preliminary feasibility studies into the proposed construction of a nuclear power plant. Cancer Diseases Hospital Chief Medical Physicist Mulape Kanduza demonstrates some of the centre’s radiotherapy equipment. Too complicated for PF cadres to comment……. Good to see that the country is planning to invest more in nuclear medicine to provide local solutions to the masses. Good job Ms Mulape for the crystal clear insight into what CDH can do.